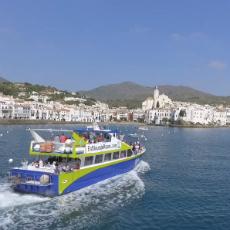 We cruise along the coastline of the Cap de Creus natural reserve, until we arrive to Cadaqués. 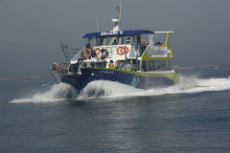 Along the way we see the rock “The Cat” and the cave “El Tamariu”, also passing Cala Joncols. 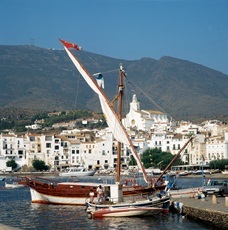 Once we arrive to Cadaqués, we stop for 1h30 to visit the village. Three hours go and back. Leaving at the morning. 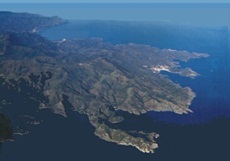 Arriving 13h00.